Warana, Queensland 4575 | Caloundra - 23150. Real Estate Business For Sale on the Sunshine Coast. I doubt you could find a better positioned newsagency for sale on the Sunshine Coast. Enjoying the same premise since the early 1980's, Warana News is surrounded by numerous convenience outlets, including "B Fresh café deli", Liquorland, Point Cartwright Seafoods, Warana Beach Bakery to name a few. The bustling complex is on a major intersection with easy access from Nicklin Way and offers plenty of parking. Over recent years Newsagencies have become affordable and safe investments that generate solid incomes from a diverse range of offerings. Based on the profits currently generated, new owners of this business would get their investment back within 2 years…not bad for a business that has been established nearly 40 years!!!! This business really is fun to operate, and ticks most of the boxes such as; has great profits, requires only a few employees, has low overheads (rent = $145 per day!). The daily operation is easy to learn and there are hundreds of customers throughout the day which is great for business and perfect if you love a chat! Warana News is fortunate to operate without the hassle of early morning paper deliveries, so no 2am starts with this one. The point of sale (POS) history proves the figures are real and the financials are clean, making due diligence easy. Working owners can expect excellent profits without having to work 7 days per week or crazy hours. There are excellent staff in place to ensure working owners enjoy plenty of time off. The well-presented shop is airconditioned and has good air flow from its wide front door and rear access. 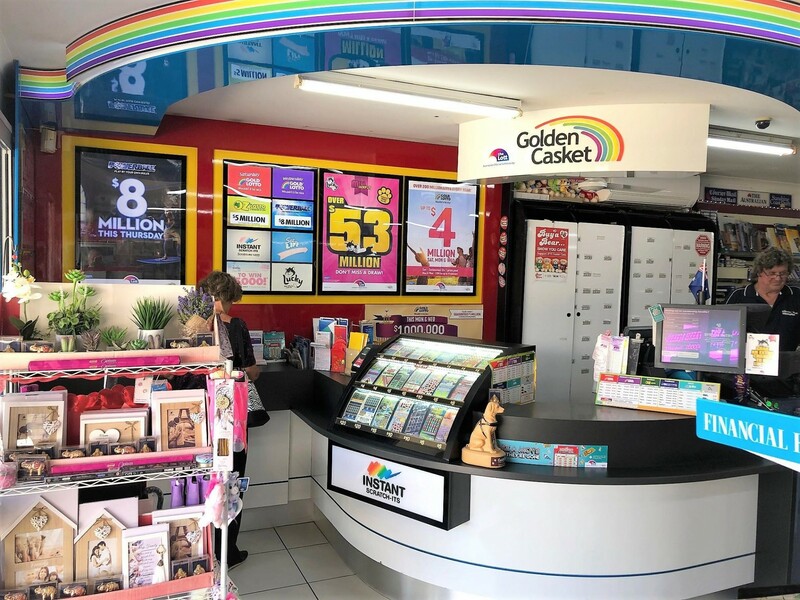 The high performance of this business has gained numerous industry benefits, such as a Gold Class rating with magazine companies and a Golden Casket ranking within the top 20% of outlets in Queensland. Sales have been increasing well with lotto and scratch-it sales up 14% this year alone! If you have been searching for a safe investment, offering flexible hours, enviable profits, a sensational working environment and hundreds of wonderful customers…you had better call me now to learn more. Priced to sell at $275,000 plus stock at value.